by Jennifer Vanderer | Romance | This book has not been rated. 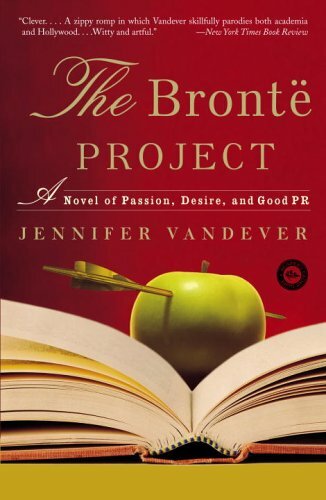 Shy young scholar Sara Frost´s unsuccessful search for the lost love letters of Charlotte Bronte hasn´t won her any favours at her university, particularly now the glamorous new Head of Princess Dianan Studies has introduced her media-savvy exploits to the staid halls of academia. Finally I'm online again! I was very happy to pick this up at the meetup in Mainz, as I'd finished the book I brought with me to Germany. I've almost finished it, but I'll wait until I'm quite done before adding my comments. Got this one from mirthful at the meetup in Trondheim today. Looking forward to reading. If you should find this book and you're new to BookCrossing - WELCOME! You have found not only a book but a community of booklovers dedicated to the sharing of books. I hope that you will write a journal entry letting me know that this book has been found. When you've finished the book I hope you'll pass it on to a friend or set it free out "in the wild" for someone else to find. You can remain anonymous but if you are interested in joining (This is a FREE & SPAM-FREE Website:), I hope you’ll consider using notnot as the one who referred you!